If you are one of those people that has a large collection of US gadgets that you like to have connected to your PC all at once, then you may want to check out the USB Super 16 Port Hub. If four USB ports aren’t enough for you then maybe this may be the solution, as this USB 2.0 hub features a total of sixteen USB 2.0 ports. The USB Super 16 Port Hub can be connected to two PCs at once to share the same USB gadgets (although not at the same time), it comes with a built in 22.5W power supply and you don’t need an extra AC adapter to power it. 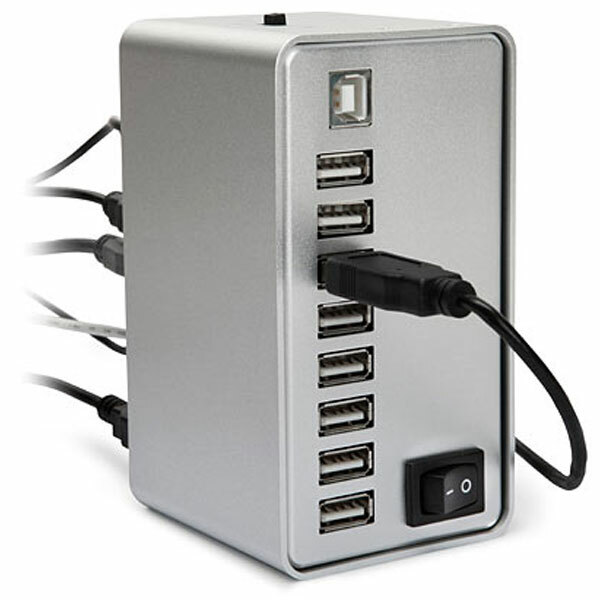 If you want one, the USB Super 16 Port Hub is available for $159.99 from ThinkGeek.